It’s winter once again in this wonderful land down under called Australia. It’s the perfect time for soups to keep oneself warm during these cold days. 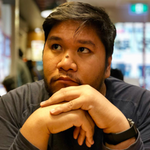 Feeling cold and homesick, my palate yearns for a familiar taste that would not only keep me warm but also cheer me up and drive away the winter blues. 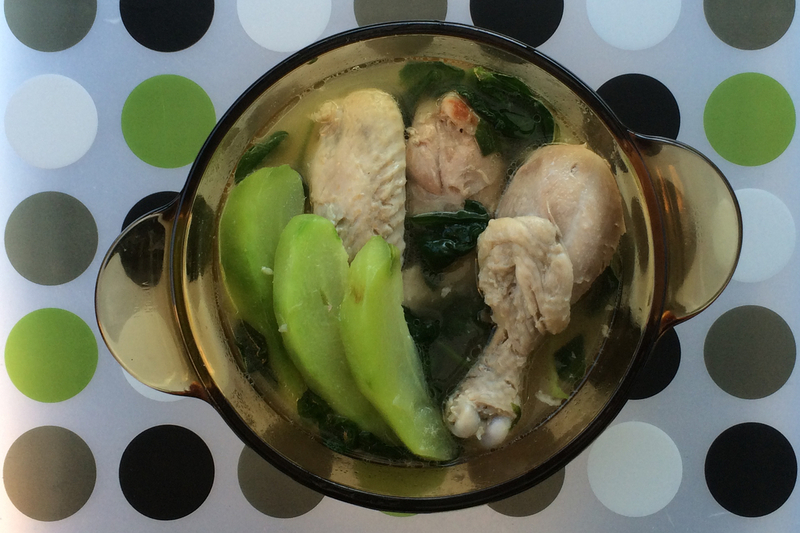 If Chicken soup is synonymous with western comfort food then Chicken Tinola would be the Filipino counterpart to it! 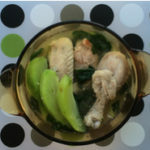 Chicken Tinola or Tinolang Manok as it’s fondly called back home is a Ginger-based soup with chicken as it’s the main star. It’s a simple clear broth soup that satisfies one’s hunger and nourishes one’s soul! The soup has a spicy fragrant taste to it thanks to the Ginger. The Green papaya added to the mix gives sweetness to the mix. Pairing the chicken, rice, papaya, and soup gives a burst of flavors in every bite! One interesting thing to note about cooking Tinola is that it uses the water used to wash rice. This is called “Pinagsaingan” or “Hugas-Bigas”. It is believed that the water from washing uncooked rice contains nutrients. 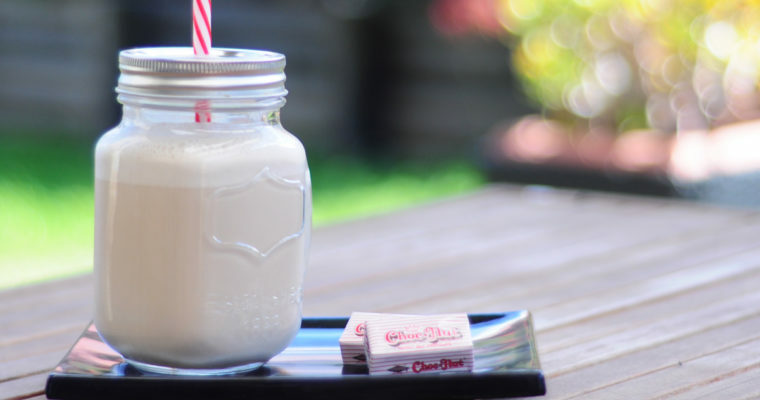 It is actually used as supplementary milk for babies in the Philippines. Talk about not wasting food! 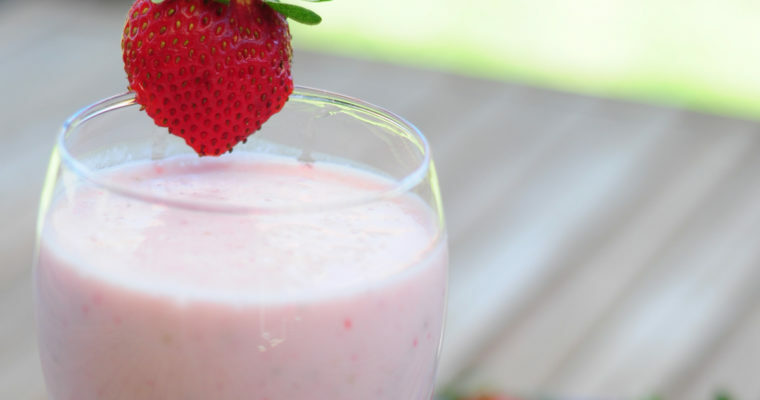 I have made some modifications to the recipe due to hard to find ingredients. I believe that Tinola calls for Green Papaya which can be hard to find in western countries. I’ve used Choko/Chayote instead. Also, since it’s a bit hard to find Chili leaves where I live, I’ve opted to put in Spinach instead. I’ve also added Bok Choi to the mix to make the soup healthier. Now let’s get our Kaldero’s rolling! 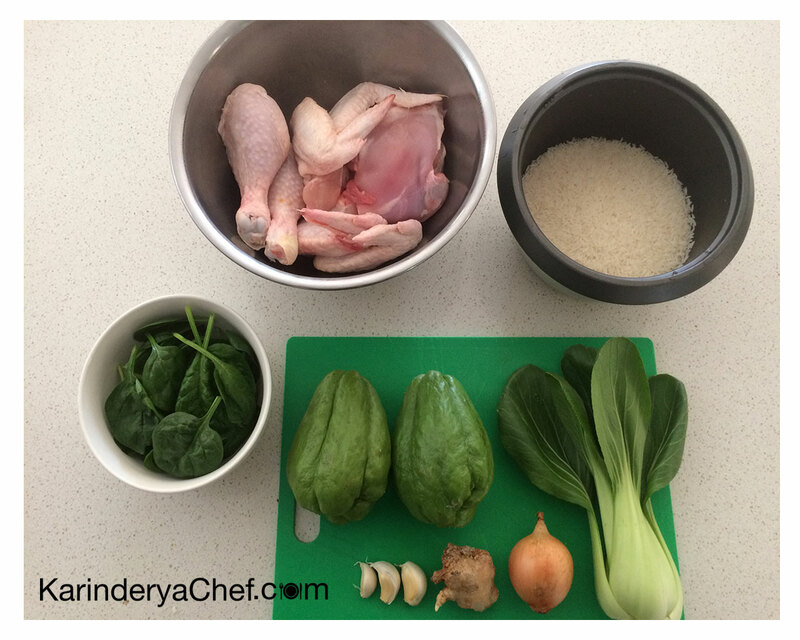 Since Chicken Tinola goes hand in hand with white rice, we need to to make the Rice wash first. We can boil the rice while cooking the Tinola. 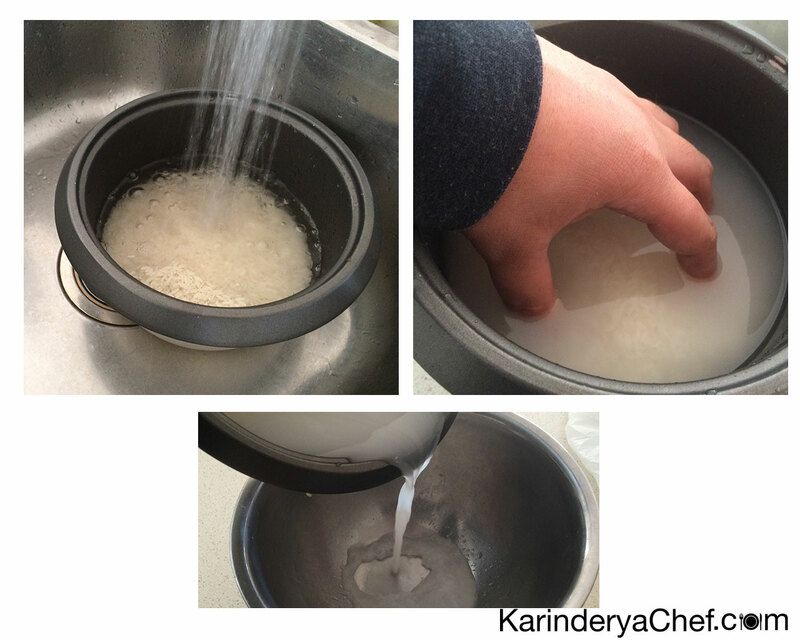 Wash your rice (bigas) by pouring water and gently massaging it until the water turns whitish. IMPORTANT: Throw away the first wash! Repeat the washing of the rice but this time, keep the 2nd and 3rd subsequent wash. 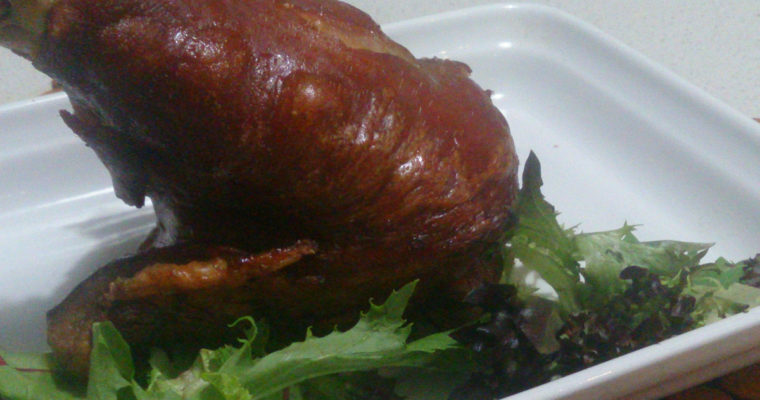 This should produce about 6-8 cups of Rice wash which would be more than enough to cover your chicken later. You can proceed to cook the rice as normal after producing the rice wash.
My attempt to become a hand model! Now that you have the rice wash and the rice is cooking away, you can now start making the Tinola. Start off by sautéing the Onions, Garlic and Ginger. 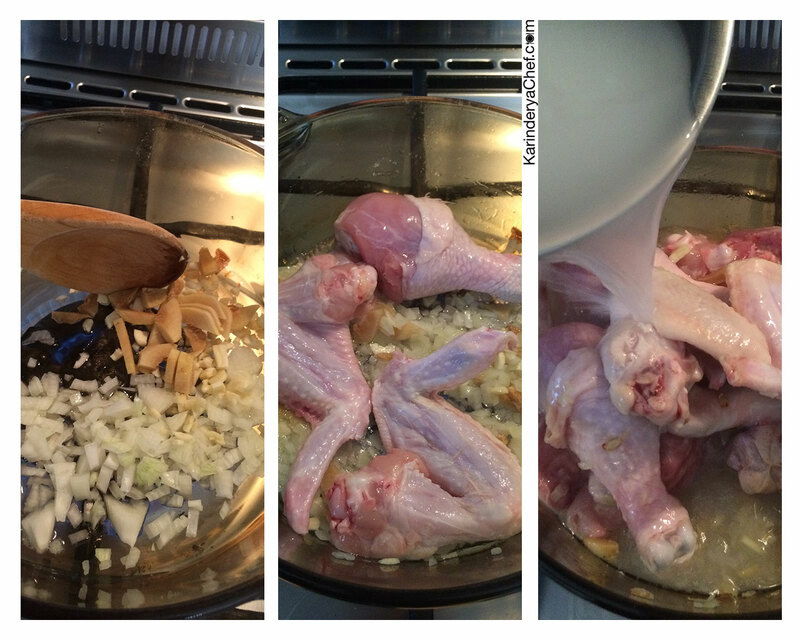 Place the Chicken pieces and cook until it’s lightly brown. Keep in mind not to burn the onions, garlic, and ginger while doing this. Add a dash of fish sauce and stir. Pour the Rice wash enough to cover the chicken and bring to a boil. Lower heat to medium and let it simmer for about 40 minutes or till chicken is tender and cooked. KarinderyaChef’s notes: This part basically tests and practices your gut feel in cooking. While I placed 40 minutes as a timing guide. It is ultimately up to you to gauge if the Chicken is cooked. Do remember that simmering or boiling for too long will result in over boiled Chicken bits floating all over the soup. 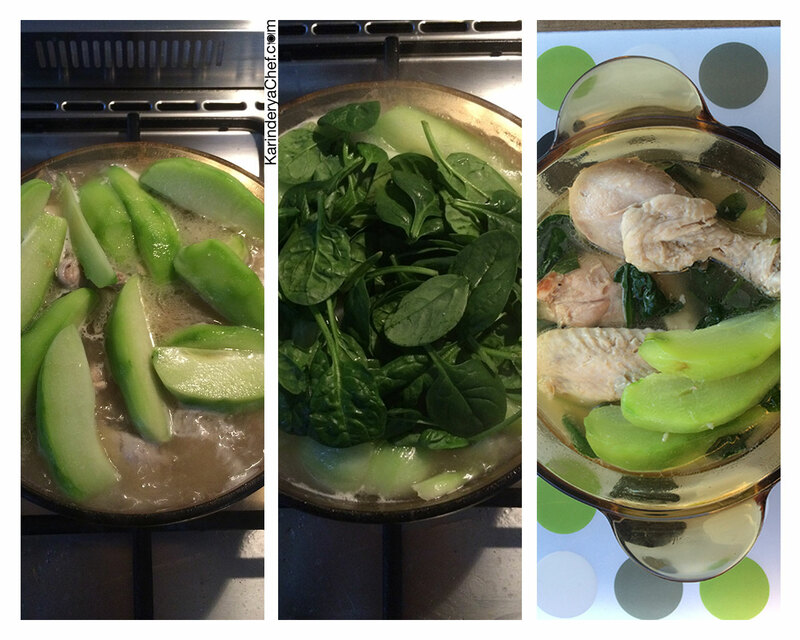 Add the Chayote (and Bok Choi) in the last 10 minutes of simmering. 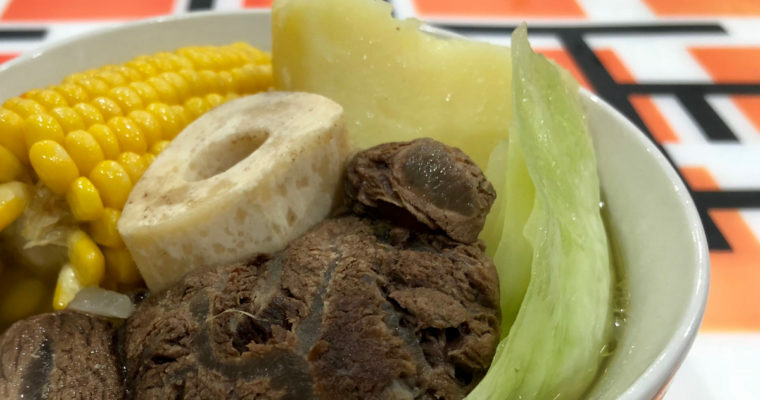 You want to give the Chayote ample time to cook so that it’s soft when served but not mushy. Finally, add the Spinach leaves at the end of cooking as it doesn’t really take that much to cook them. 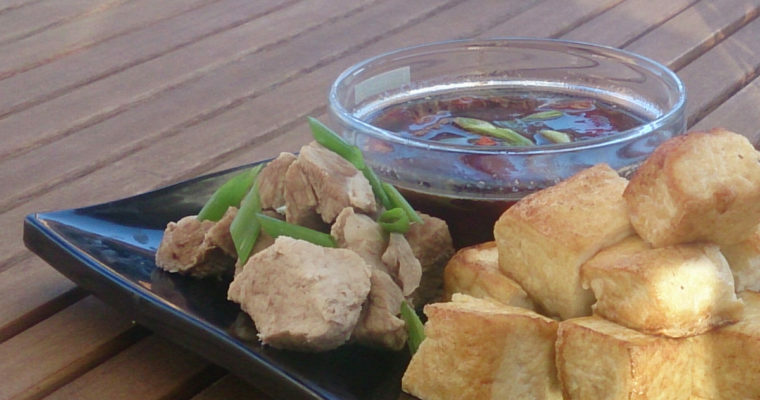 Serve with steaming hot rice and patis (fish sauce) on the side. Enjoy! Wash your rice (bigas) as you would cook it normally Throw away the first wash. Keep the 2nd and 3rd wash.
Cook rice after getting the wash.
Sauté Onions, Garlic and Ginger. Pour the Rice wash and bring to a boil. Lower heat to medium and let it simmer for about 40 minutes or till chicken is tender and cooked. 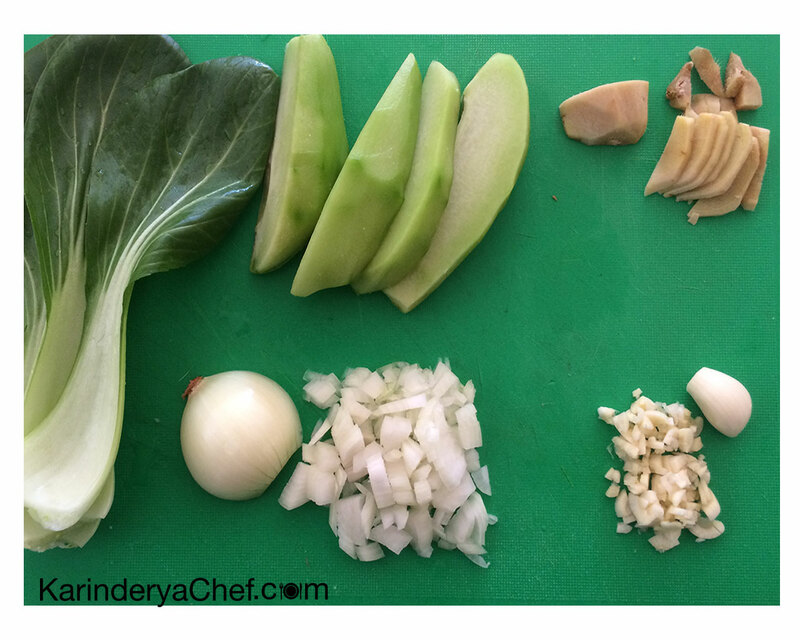 Add the Chayote (and Bok Choi) during the last 10 minutes of simmering. Add Spinach leaves at the end of cooking.